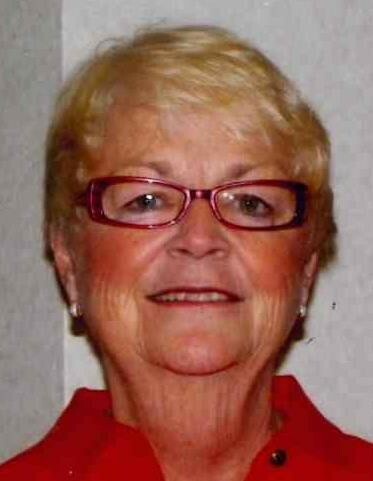 ELKHART: Jane Swartzell,of Elkhart, passed away Saturday February 9, 2019 at her residence. Jane was born September 12, 1944 in Finchley, England to the late Kenneth and Linda Joyce (Pope) Swartzell. Jane is survived by many close friends, including Sara Elkin and her family, Sue Pettit and the "girls of 62" and her dog Callie. Jane worked for many years as a branch manager and officer of the First National Bank, Greenleaf Branch, and retired from Key Bank. She also worked at the Elkhart Public Library. Jane was a member of Altrusa. Memorials in Jane's name may be made to the Humane Society of Elkhart County or Second Chance Small Dog Rescue. Arrangements are under the care of Billings Funeral and Cremations Services.